Read a fabulous graphic novel yesterday on the recommendation of Dan’s teacher. The Left Bank Gang by Norwegian cartoonist (is this the right word? graphic novelist?) Jason is an imaginative tale set in 1920’s Paris and featuring some of the most eminent writers of the 20th century rendered as anthropomorphic animals. Beautifully coloured panels, elements of film noir, Kurosawa, Tarantino. Fun! My one complaint: they should have shot Gertrude Stein, too. Due to guilt and sentiment and other shadowy feelings, I spent more time in school this week than I have all year so far, volunteering Monday and then in for caroling Tuesday and today. Consequently have had a series of dreams that I can only describe as baroque in tone — very long and detailed and bizarre, but not without their good points. It’s best now that it’s time for a break, time for that simple sugar (in all its myriad forms) festival we call Xmas. Well, if I don’t have time for another extremely interesting post like this one before 2009 rolls in, best of the season to all of us and here’s to a peaceful and inspiring year. Calgary, like much of the country, is a frozen wasteland at the moment. The cold weather moved in Friday, and naturally I had parties to go to both Friday and Saturday nights. But I drove carefully and enjoyed seeing former library colleagues on Friday and former bandmates and miscellaneous other friends Saturday. Lots of book chat and fine food and a little wine as well, which makes for a damn fine evening, if you ask me. Even sold a couple of books on Saturday, gotta like that. This morning was helping Dan and his fourth grade classmates make cookies. Oh, my. What was I thinking when I said I’d help out? Well, all’s well that ends well, and indeed, it was kind of fun at that. I spent most of the afternoon until now labouring away on my holiday playlist. Work, work, work. But I will actually start wrapping things tomorrow. And now out into the cold to pick up those children. And bore them with stories of how I had to walk to and from school in freezing Regina. Just found out that an excerpt from Love Minus Zero has been accepted by The Fiddlehead. Yes! Very pleased to be appearing in their pages again, and pleased about the exposure the book will get from it. 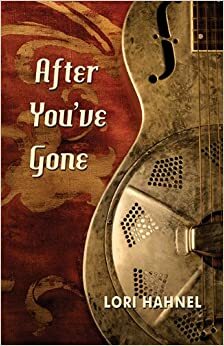 Mark Jarman also tells me that CBC radio is interviewing him next week about his Xmas reading and he’s going to mention the book there as well. All very good! In other news, I was interviewed yesterday by Avenue Magazine, who are running a brief piece on Love Minus Zero in their April issue. Looking forward to seeing it. 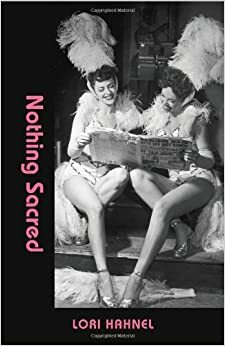 I also caught up with Thistledown Press about Nothing Sacred, my short story collection they’re publishing next fall. They put me in touch with Joy Gugeler, who is editing. She’s going to get an initial edit out to me next week, along with some development suggestions for some of the shorter pieces. I plan to read and start digesting this stuff when I get it, let it ferment in my mind over the holidays, and then get to work on it in earnest in the New Year. She figures we’ll have plenty of time to do the necessary back and forth before the end of March, my deadline. Until yesterday, I’d been working on a new piece that I thought could possibly be included in the book, but now I can see there’s no way I’m going to finish it in time, I don’t think. Because…Xmas! Oh my god! Looming. So this is Xmas, and what have I done? Not much. Um, well, I did get cards and parcels out…most of the shopping is done. Stop panicking, there’s lots of time for all that other stuff. Xmas might just be a little simpler this year. Me, I already got what I wanted. Thank you. Awesome, I thought when I arrived home from my tour. Now I can get after some of that not-Writing stuff that I’ve been neglecting, stuff like unpacking…hanging pictures…oh, and Xmas. Yeah, that. Let’s face it, the mother of two pre-teens has a bit to do before Xmas. But then all the gents got some kind of GI bug the weekend after I got back. Which they of course gave to me. And then we were all almost better, and the cold kicked in. And I was almost better, and then the largynitis part hit me Monday. Well, we really are almost better now, except for the nagging cough. I can talk, though I sound like Friar Tuck from Robin Hood. We’re definitely doing better than The Globe Books section, which Quill & Quire reported yesterday is — surprise — being scrapped and tucked into the Focus section somewhere. Oh, yes. Will they be just like all the other newspapers and review two books a week on their own and pick up the rest from syndicates? I’ll give it a look, I guess, but it seems likely I’ll just cancel my subscription. I certainly don’t read the Saturday Globe for any other reason. Sigh. On the other hand, this coalition thing is lifting my spirits. Get Steve outta there! I’d be very pleased to see my Honourable Member do a Joe Clark! That would make my year.